The past two days Ferrell Jenkins and I have explored various sites in the Arabah (see Deut. 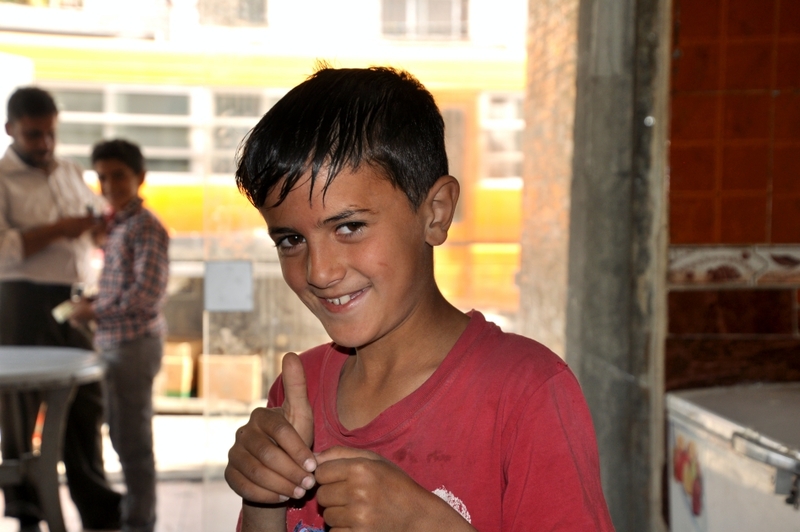 1:1 & etc., NASB), using Elath (spellings vary) as our base. 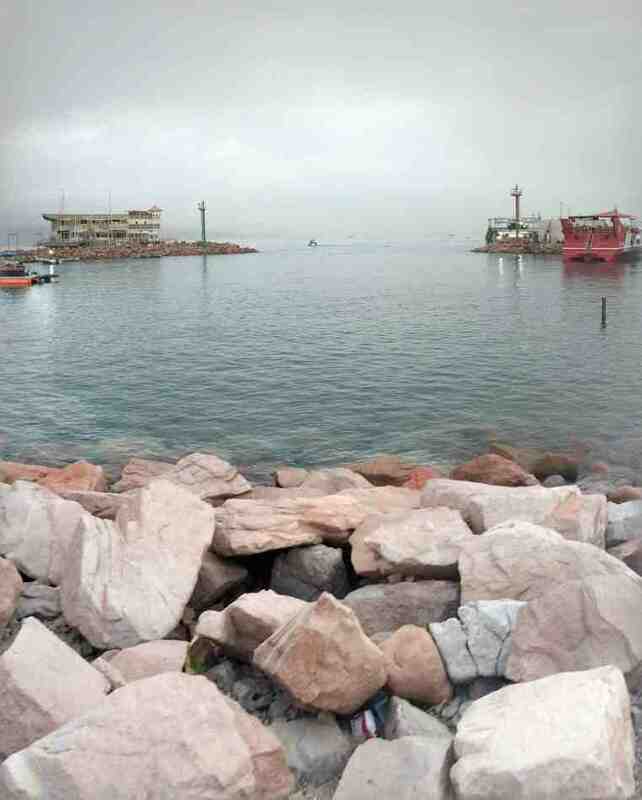 This evening I took a photo looking out to the Red Sea. 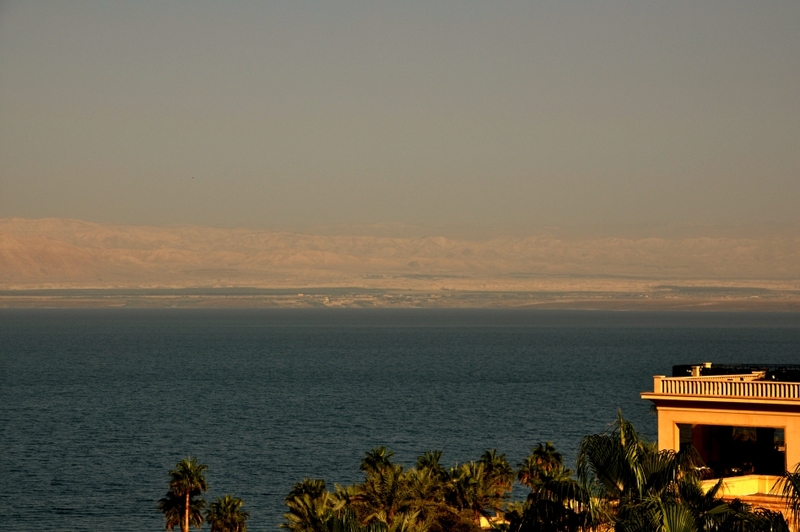 Looking out to the Red Sea from Elath. Photo by Leon Mauldin. It was in this area that King Solomon stationed a fleet of ships: “King Solomon also built a fleet of ships at Ezion Geber, which is near Elath on the shore of the Red Sea, in the land of Edom” (1 Kings 9:26). 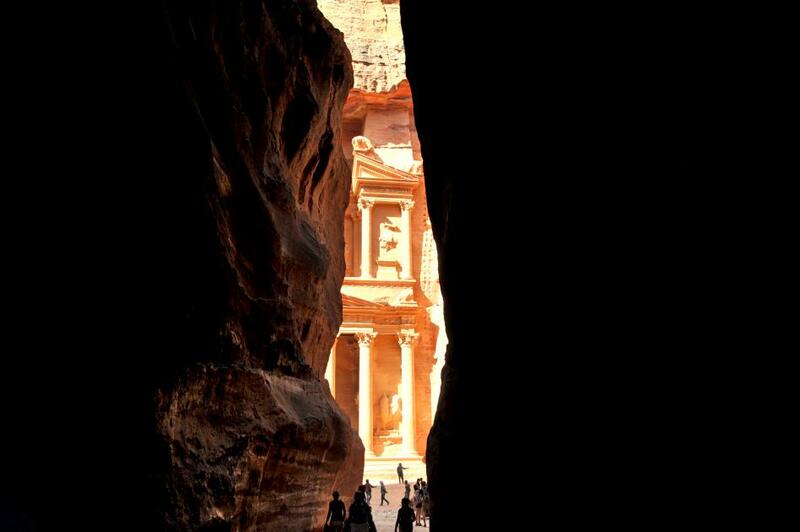 This was made possible through the cooperation of the Phoenicians. 2 Chronicles 8 records, “Then Solomon went to Ezion Geber and Elath on the seacoast, in the land of Edom. And Hiram sent him ships by the hand of his servants, and servants who knew the sea. They went with the servants of Solomon to Ophir, and acquired four hundred and fifty talents of gold from there, and brought it to King Solomon” (vv.17-18). 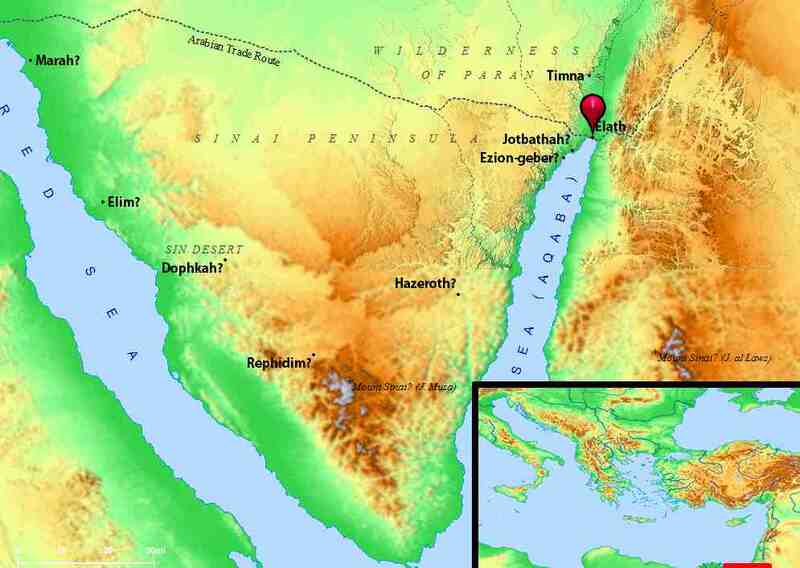 Location of Elath on the Red Sea. BibleAtlas.com. A slight (and temporary) “wrong turn” today put us in position to get a different view of Beit Shan than what I’ve previously had. What is so significant about this site (among many other considerations) is that when King Saul and his sons died in battle (on nearby Mt. Gilboa) against the Philistines, they decapitated Saul and fastened his lifeless body and that of his sons for display on the city walls. Tel Beit Shan, where the bodies of Saul & his sons were desecrated. Photo by Leon Mauldin. Now the Philistines were fighting against Israel, and the men of Israel fled from before the Philistines and fell slain on Mount Gilboa. 2 The Philistines overtook Saul and his sons; and the Philistines killed Jonathan and Abinadab and Malchishua the sons of Saul. 3 The battle went heavily against Saul, and the archers hit him; and he was badly wounded by the archers. 4 Then Saul said to his armor bearer, “Draw your sword and pierce me through with it, otherwise these uncircumcised will come and pierce me through and make sport of me.” But his armor bearer would not, for he was greatly afraid. So Saul took his sword and fell on it. 5 When his armor bearer saw that Saul was dead, he also fell on his sword and died with him. 6 Thus Saul died with his three sons, his armor bearer, and all his men on that day together. 7 When the men of Israel who were on the other side of the valley, with those who were beyond the Jordan, saw that the men of Israel had fled and that Saul and his sons were dead, they abandoned the cities and fled; then the Philistines came and lived in them. 8 It came about on the next day when the Philistines came to strip the slain, that they found Saul and his three sons fallen on Mount Gilboa. 9 They cut off his head and stripped off his weapons, and sent them throughout the land of the Philistines, to carry the good news to the house of their idols and to the people. 10 They put his weapons in the temple of Ashtaroth, and they fastened his body to the wall of Beth-shan. 11 Now when the inhabitants of Jabesh-gilead heard what the Philistines had done to Saul, 12 all the valiant men rose and walked all night, and took the body of Saul and the bodies of his sons from the wall of Beth-shan, and they came to Jabesh and burned them there. 13 They took their bones and buried them under the tamarisk tree at Jabesh, and fasted seven days. (1 Sam. 31:1-13). 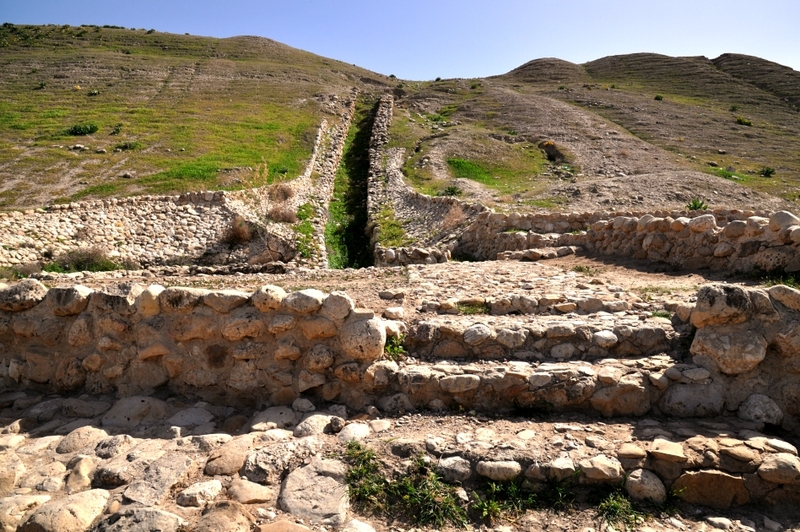 In Roman times Beth Shan became one of the cities of the Decapolis. For more articles on this site Click Here and here. 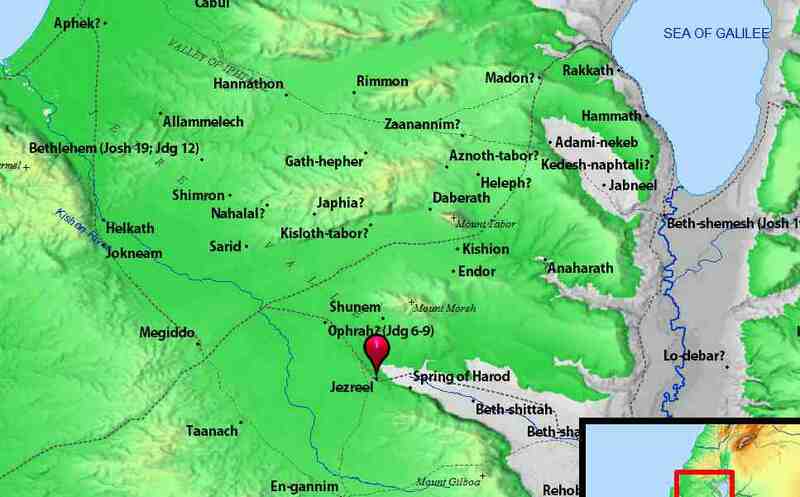 The Spring of Jezreel in Israel is mentioned in 1 Samuel 29 in connection with the closing episode of King Saul’s life. The text reads: “Now the Philistines gathered together all their armies to Aphek, while the Israelites were camping by the spring which is in Jezreel” (1 Sam. 29:1). Ferrell Jenkins & I were able to visit this spring this morning. 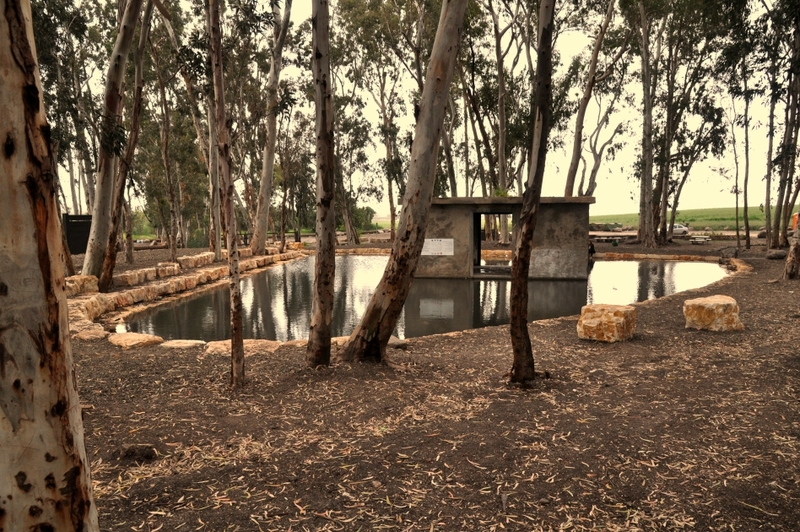 Spring of Jezreel in Israel. Photo by Leon Mauldin. 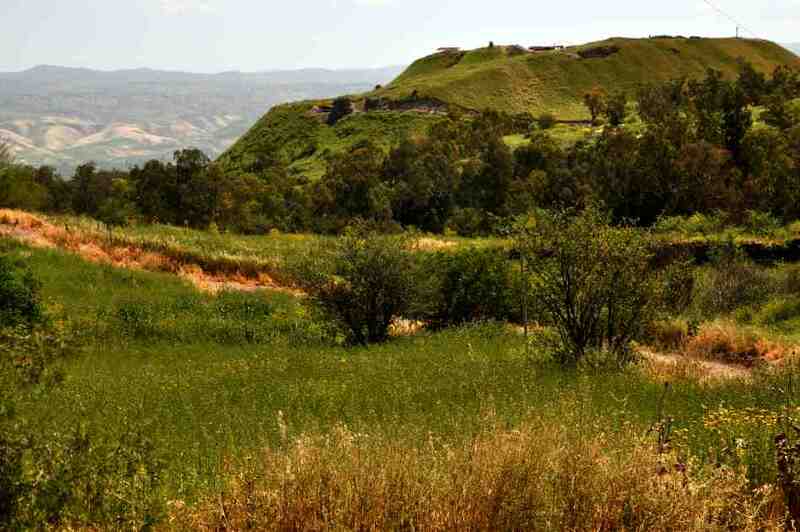 Within site of this spring is the mountain of Gilboa, where Saul and three of his sons died as the army of Israel was defeated by the Philistines. I have previously written on King Saul and the geographical setting of his death here. 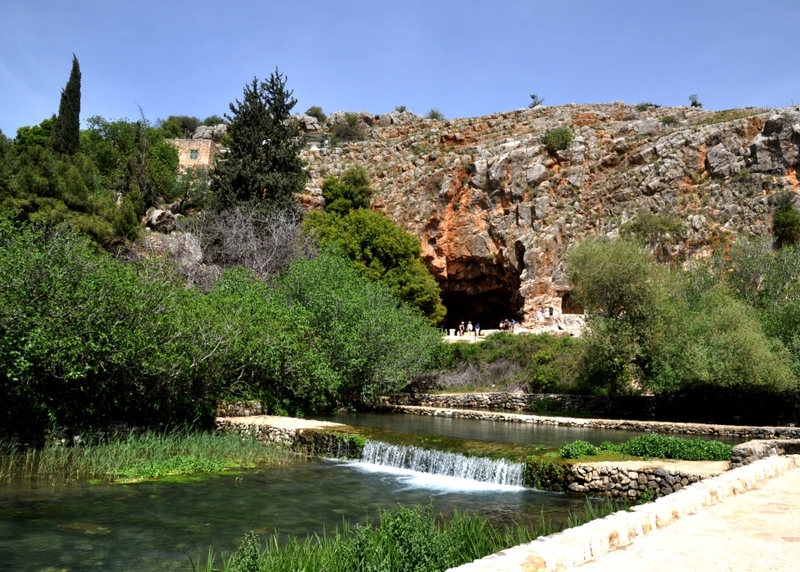 The Banias Spring emanates at Caesarea Philippi. At center of our photo you can see the Grotto of the god Pan. Downstream are the Banias Falls, one of the primary sources of the Jordan. Also while at Caesarea we saw some figs today. 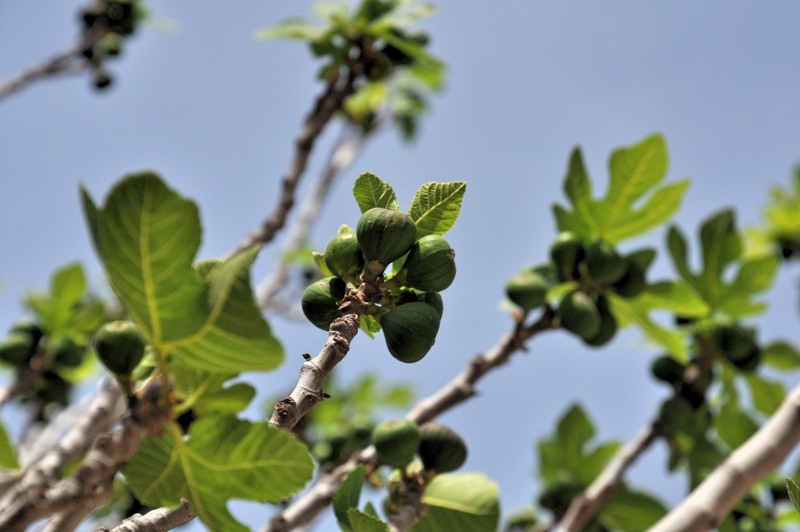 Figs at Caesarea Philippi. Photo by Leon Mauldin. You are currently browsing the Leon's Message Board blog archives for March, 2018.